Looking for a gift to send to the hostess? Well no need to look further. Our Christmas centerpiece is designed by one of our top notch florist using their freshest seasonal flowers. 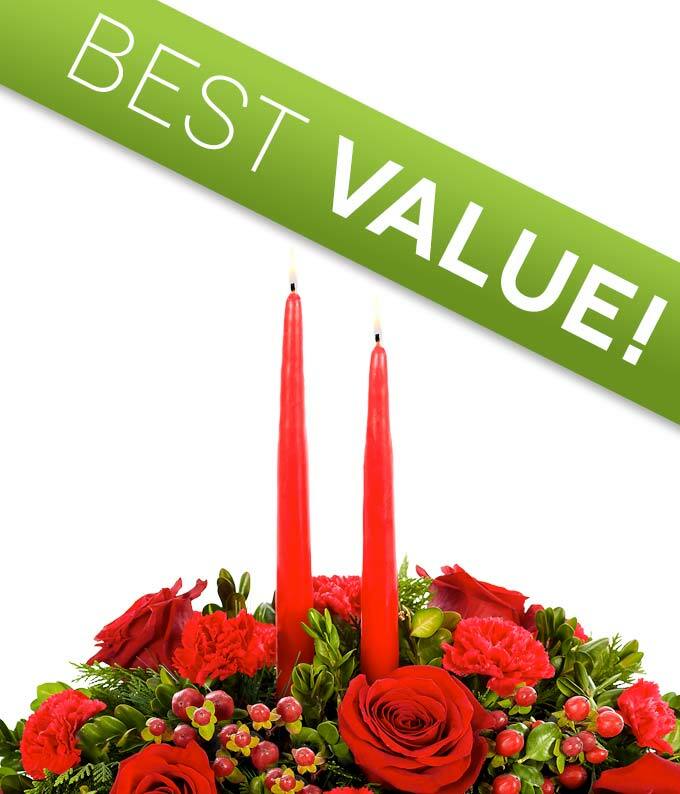 Festively designed around two taper candles, this centerpiece is sure to bring warmth and charm to any room in their home.